In this most recent of his seminal studies on Descartes, Jean-Luc Marion brings together essays on the topics of the ego and of God, most of them previously unavailable in English. More than any other of Marion's works, the book illustrates the profound connection between his phenomenological concerns and his writings on Descartes. Liberating God and the self from the constrictions of metaphysics are fundamental tenets of Marion's theological and phenomenological work. This book highlights the same topics in the philosophy of Descartes. 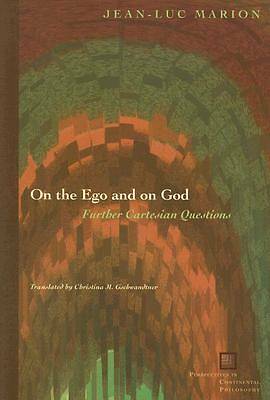 In Part I (On the Ego), Marion explores the alterity of the Cartesian ego, arguing that it is not as solitary as has often been assumed, and shows how Descartes' writings themselves are framed by dialogue. He explicates the status of the "rule of truth" in the Meditations, on the one hand highlighting how Descartes' argument is not circular, on the other hand showing how Pascal responds to and alters Descartes. He also elucidates the ambivalent status of the concept of substance in Descartes by returning to its roots in the philosophy of Suarez. In Part II (On God), Marion returns to the important Cartesian thesis of the creation of the eternal truths, setting it in the context of the claims of earlier thinkers and showing its demise in philosophies following Descartes. The study closes with a careful delineation of the concept of causa sui and a detailed survey of the idea of God in seventeenth-century thought.